Stacy Taubman recognizes that successful women start as young girls who dream big. The educator-turned-entrepreneur is the founder of both Girls Dreaming Big and Rise Collaborative Workspace, where women work, girls grow and dreams rise into reality. 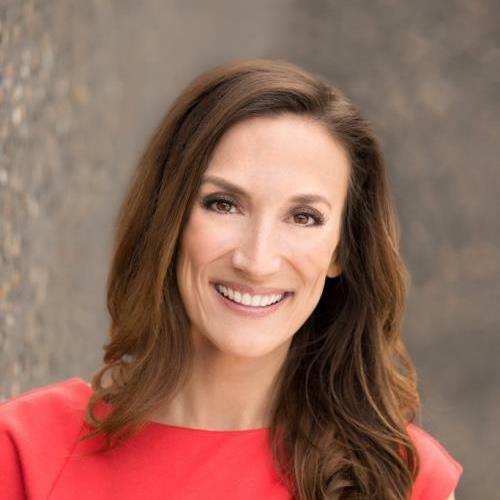 As a high school teacher and coach, Taubman began brainstorming ways to build a program that could combat the myriad issues that high school girls face, including lackluster test scores and poor time management, unhealthy body image and, ultimately, self-destructive behaviors. In 2013, Taubman founded her first company Girls Dreaming Big. Girls Dreaming Big’s mission is to empower and build a strong community that supports girls in their journey to reach their true potential. Taubman was the 2014 recipient of a $25,000 grant from the Social Enterprise and Innovation Competition (SEIC) sponsored by YouthBridge, the nonprofit group that helps other St. Louis nonprofits, and Washington University’s Skandalaris Center for Entrepreneurial Studies in St. Louis. Over the past three years, Taubman has worked with more than 2000 girls and has more than 15,000 followers on the company’s social media sites. Girls Dreaming Big (GDB) Academy is a nine-month research-based curriculum program. Modules are aligned so that workshop curriculum, service projects, social events, and talks from the organization’s speaker series all share the same monthly theme. GDB Academy is launching in Atlanta, GA in the fall of 2016. Taubman mentions other possibilities on the horizon. Texas Production Company, the firm that produced Amy Poehler’s Smart Girls documentaries, is currently pitching to television networks a show about Girls Dreaming Big that would potentially film next year. As Taubman grew the Girls Dreaming Big network by interviewing more than 300 successful women, it became clear that that both professional women and high school girls needed a physical space to work, learn and grow. Taubman founded her second company, RISE Collaborative Workspace in 2015. “Girls Dreaming Big works best when it is housed within a collaborative environment made up of other women achieving their dreams,” explains Taubman. RISE Collaborative Workspace provides professional office space and services specifically designed for working women while offering mentorship, training, and coaching to teenage girls. RISE Collaborative Workspace is a female-focused membership-based co-working space. High school girls looking to do homework, to create positive peer-to-peer relationships, and get first-hand guidance from successful female mentors can choose from two membership options. Professional women have four different memberships to choose from based on their business and professional requirements. As Taubman prepares for the opening of RISE Collaborative Workspace in late summer of 2016, she recognizes the instrumental help she has had along the way. “Mary Jo Gorman, lead managing partner at Prosper Capital, spent hours mentoring me and helping to shape my vision for RISE Collaborative Workspace,” states Taubman. “More than a 60 entrepreneurial and impressive women came together for our RISE launch party at Clayton on the Park.” The event was fully funded by women-owned or operated businesses. With almost 100 contributors, Taubman raised more than $20,000 in 30 days on Indiegogo, largest global site for fundraisers. For more information about Girls Dreaming Big, visit www.girlsdreamingbig.com. For more information about RISE, Collaborative Workspace visit www.riseworkspace.com. For more information about Stacy Taubman visit your nearest coffee shop first. You may need a lot of caffeine to keep up with her.